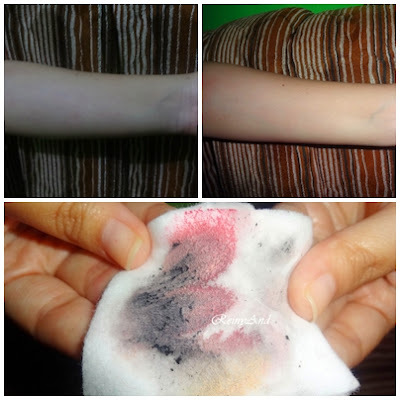 I am back with a review (again) haha i hope u didn't get bored with my review,so today i am gonna make a review about the famous make up remover in the world *lebay* this is a holy grail product for many beauty gurus and beauty bloggers out there exactly ! I got this make up remover for free lol, i've joined ci Phanie x Bioderma Indonesia Giveaway about couple weeks ago and yes ! and I won *happy*. I chose Bioderma Sebium since my skin problem is oily skin and acne prone. Let me introducing you to Bioderma Sebium H2O make up remover. Sebium H2O gently cleanses and removes make up without drying out the skin. 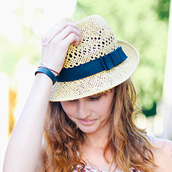 Enriched with ultra purifying active ingredients. Sebium H2O limits sebum secretion and throughly cleans the epidermis. The exclusive fluidactive. Patent biologically regulates sebum quality and prevents pores from getting clogged. Excellent tolerance. Non comedogenic. PropertiesFragranced formula.Non-comedogenic, alcohol-free, no colorant.Transparent bottle with dispenser cap - 250 ml. IngredientsWATER (AQUA), PEG-6 CAPRYLIC/CAPRIC GLYCERIDES, SODIUM CITRATE , ZINC GLUCONATE, COPPER SULFATE, GINKGO BILOBA EXTRACT, MANNITOL, XYLITOL, RHAMNOSE, FRUCTOOLIGOSACCHARIDES, PROPYLENE GLYCOL, CITRIC ACID, DISODIUM EDTA, CETRIMONIUM BROMIDE, FRAGRANCE (PARFUM). The packaging just like a big transparent bottle regular water since the size of this make up remover available in 250ml and 500 ml. The bottle is not travel friendly cause the shape is so bulky lol,the bottle made from plastic and the color is transparent so you can see the color of this make up remover right?. The packaging designed neither cute nor exclusive looks,just covered with printed letters full of description and etc. The cap of the bottle is a flip top with green color while the bioderma sensibio H2O has pink color, it's easy to soak the water and i think the flip top cap strong enough. You don't worry to carry this make up remover it's safe !. The texture this micellar water just like a mineral water with blue color and has fruity scent , while Bioderma Sensibio H2O really like a regular mineral water and fragrance free. You can see the result from the pictures above, OH MY GOD ! it's magic :D i just need 2 swipes to make sure my skin clean and of course i don't need rinse with water. After removing make up using Bioderma my skin doesn't tight or rough. Bioderma Sebium H2O makes me Impressed and satisfied, my life more easier with Bioderma Make up remover ! Available at drugstores like Guardian and etc. Best make up remover ever ! Oh ! I love this make up remover, this is my holy grail make up remover since it's not clogged my pores and help to balance my oily skin. 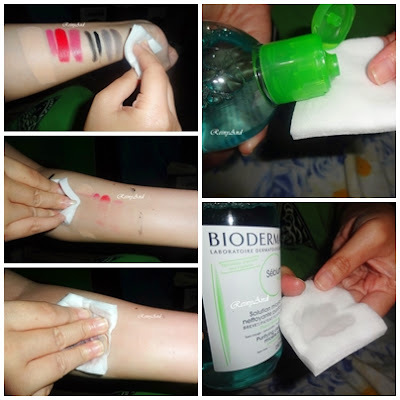 So, when i am feeling lazy to double cleansing method to remove my make up dirt, I just need bioderma H2O sebium and swipe ! Those make up go away with perfectly, then i go to sleep and have a sweet dream :D cause without washing my face i still feeling happy,my skin clean and already to take a rest. No worries more on tomorrow morning. It's suitable for you to bring this make up remover when you traveling,it's practical and clean your make up with clearly or when in doubt washing your face you just need Bioderma make up remover for your savior :D.
Leave a comment on my comment box.